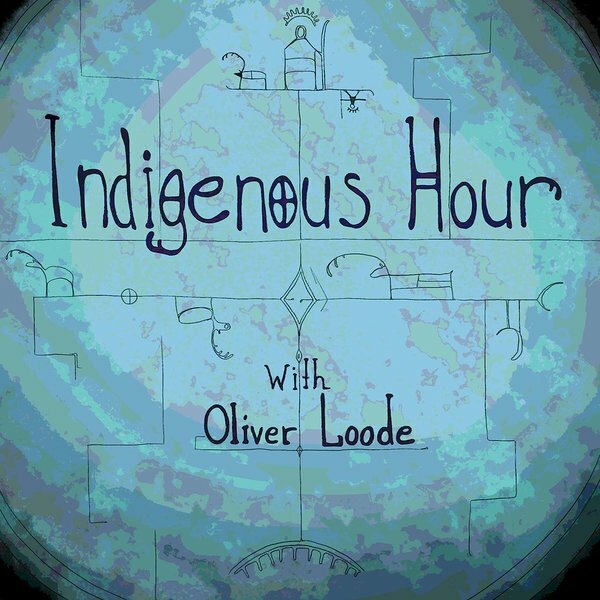 "Indigenous Hour" is a series of 7 conversations with indigenous leaders, activists and experts which were recorded by Oliver Loode in 2017. The main objective of these podcasts was to raise awareness of the issues facing world's indigenous peoples through some of the key actors in this field, and to get to know their personal stories - how they got involved in indigenous issues and what drives their work and activism now. You can now listen to all "Indigenous Hour" episodes of its 1st season right here. Episode 1: Aleksey Tsykarev "From Karelia to the UN" My first guest is Aleksey Tsykarev, member of the UN Expert Mechanism on the Rights of Indigenous Peoples (EMRIP) and a leading activist of Karelian and Finno-Ugric civic movements. We talk about his life story so far, about Karelia - its people, languages, culture - and discuss Aleksey's ongoing work at EMRIP.
" Discussing UNPFII, Repatriation and Trump" In this episode, I was joined at the sidelines of the 16th session of the UN Permanent Forum on Indigenous Issues (UNPFII) by Ms. Andrea Carmen, Executive Director of the International Indian Treaty Council (IITC) and member of the Yaqui Nation. We discussed the origins and evolution of UNPFII, Andrea's tireless advocacy for international repatriation of indigenous sacred items and the threats that Trump Administration poses to indigenous peoples. "Tamasheq (Tuareg) Activist and Chair of UNPFII"
In this episode of the Indigenous Hour I speak with Mariam Wallet Aboubakrine, current Chair of the UN Permanent Forum on Indigenous Issues (UNPFII), a physician and Tamasheq (Tuareg / Amazigh) indigenous rights activist from North Africa. Listen to find out what Mariam thinks about the Permanent Forum, what are Mariam's three priorities during her 2nd term at the Permanent Forum, how her community uniquely uses poetry to resolve conflicts and why she switched from medicine to human rights activism. Mariam speaks in French, with back-to-back interpretation into English. Episode 4: Kuupik Kleist "Discussing Self-Determination with Greenland's Former PM" In this episode we discuss the theory and practice of indigenous peoples' right to self-determination with Mr. Kuupik Kleist who, as Greenland's 5th Prime Minister between 2009-2013, oversaw the implementation of Greenland's historic Self-Rule Act which is seen by many - including the UN system - as one of the best examples of the exercise of indigenous peoples' right to self-determination as articulated in UNDRIP Article 3.
" Episode 5: Mare Mätas - how intangible cultural heritage can drive development - the story of Kihnu Island" The inspiring story of the tiny Estonian island Kihnu which has become a good example of how to safeguard and valorize indigenous intangible cultural heritage (ICH). Since 2003, Kihnu cultural space has been included in UNESCO's representative list of ICH of humanity, and in the meantime Kihnu has developed into an attractive cultural tourism destination. Join us to learn about Kihnu's experience from Mare Mätas - an indigenous Kihnu woman, cultural leader and tourism entrepreneur. Episode 6: Boris Babin "Discussing Indigenous Peoples of Ukraine on the 10th anniversary of the UN Declaration on the Rights of Indigenous Peoples (UNDRIP)"
Who are the indigenous peoples of Ukraine? Why did Ukraine wait with the recognition of Crimean Tatars as indigenous people of Crimea until after Crimea was illegally occupied by Russia? What are the current key challenges facing Crimean Tatars in Crimea as well as Ukraine's mainland? These and other issues are expertly explained in this episode with Mr. Boris Babin, professor of law currently serving as Permanent Representative of the President of Ukraine in the Autonomous Republic of Crimea. Episode 7: Áslat Holmberg "State of Sami Self-Determination on the Eve of Finland 100"
In this final episode of Season 1 of the Indigenous Hour, we discuss the situation of Sami people in Finland that will celebrate 100 years of its independence this December. Our guest is Áslat Holmberg - 29-year old Sami politician and activist who is among the leaders of Ellos Deatnu - a highly innovative civic campaign to stand up for Sami rights that have been violated through the Deatnu (Teno) River Fishery Agreement ratified between Finland and Norway.